Before going into the features of this Movavi Screen Capture software let's talk about what screen capture is and what it does? A digital recording of any video or clip that is streaming along with the voice is known as the screen capture. It can be used in a variety of areas. Let's take the example of software developers: they can capture the entire process of how they develop a particular product or just the user interface so that they can show it off to their peers or use it for a business demonstration. One of the advantages of screen capture is that you don't have to personally explain everything to every individual when you capture the process and present it to them as a guideline they have to follow. To record high-quality seminars that can be easily understood it is necessary to use screen capture software - simple video camera and recorders are not enough these days. Such software can record the entire seminar, which could be used for future reference or the person could decide to make it available to users through online means. Communication-based business is the one which benefits the most from this particular software. Here are some of the reasons why using a screen capture software is important for business. The size of Movavi Screen Capture is 46.9 MB, which is not a lot so you don't have to worry about it taking up space on your PC or laptop. When you are solving a query that any customer support call generates, the calls are recorded, what's left out is how the employee pulled up the record or if all the required changes were made by the employee. Movavi could record the entire process which can be later reviewed by the quality team. • Requires 810 MB hard disk space for installation and 2 GB for ongoing operations. • Requires 2 GB for Windows 7/8/10, 512 MB RAM for Windows XP and Windows Vista. Every organization has a set of computer policies that are to be followed by employees, which get overlooked a lot of times and hence affects the productivity of the entire team. The perfect way to make sure that your employees don't waste their time on social networking sites or are distracted when taking their calls or doing their jobs is by making use of a screen recording software like Movavi. As you have already captured the screen when a particular task was being carried out, this stream can be used in figuring out what necessary changes have to be made and you can impart that knowledge on the employees who can improve their work. Some things are better understood when there is a picture representation or a video. With Movavi, these things can be easily captured and played back when teaching a group of employees a new task, even old recordings of the best calls, or perfectly done jobs can be captured to motivate the employees and help them learn new things. Simultaneously listening in on calls as well as watching the video feed makes work 10 times easier and cost much less than if you choose to use a separate software for both of these. Not only does Movavi let their users record what's going on on the screen but also the voice feed. I have made a list of all the video, audio and image formats that Movavi supports. They are clearly mentioned in the support tab of this screen capture software which is something that you can easily check out. Not only can you capture your online tutorials, but also webinars, and other training materials which you would have to load many times if Movavi was not present. 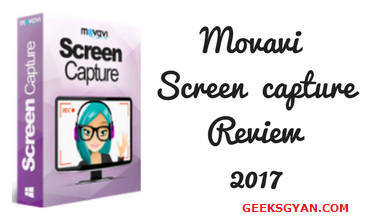 If there are some parts of the video streaming that are not required and just take up space you can get effectively get rid of those by choosing a screen recording software such as Movavi Screen Capture. You have the option of saving these videos so that they can be viewed later on. You can learn a lot from the videos which you have saved and you can choose the time and place when you want to view them. Can't find a good site to download your favorite TV series or movies? 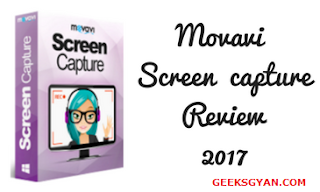 You can use Movavi Screen Capture - it will save the entire series or movie on your device and you have the luxury of viewing it at a later date. You also get to save the video calls with your family and friends which are sometimes emotional or heart touching when you stay at places far away from them and replay them whenever you are feeling low. You can even dissect the audio from the entire stream if you are not interested in it. Get rid of annoying ads which waste a great deal of your time. In the duration that I have used this software, I found a lot of good features which have been of a great help and benefited my business in a lot of great ways so if you are looking for a pleasant screen recorder this is the one you should choose. Go to Movavi official website and make your life a lot easier with Movavi Screen Capture.